Navarra is a beautiful region of Spain that has not been “discovered” yet. It offers adventure, novelty, beauty, a sense of history, culinary excellences and great wine all of which make this region pretty unique. My name is Bea Etayo, I’m a well-travelled soul, born and raised in Pamplona. Having spent fourteen-odd years living and working as professional in Dublin and London, it was abroad where I learnt to appreciate artisan-made food and wine. Now, that I’m back in Pamplona a few years, I’m eager to show off our unique culture, world-famous festival, local cuisine, wines, and all the hidden gems of the region, so you can experience it in an authentic way, just as the locals do! 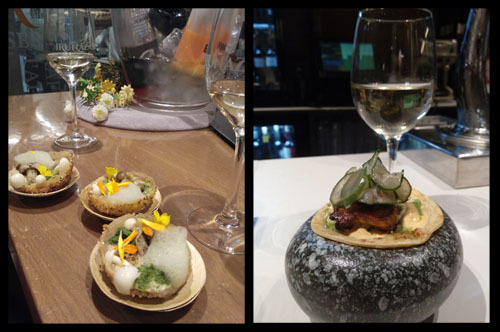 This blog is my willingness to reach to those fellow culture, wine and food enthusiasts from around the world that are either planning a trip to North of Spain or have been here and would like to know more about the area. I would like to provide you with an insider’s view of Pamplona and the region while getting to taste some of our quality cuisine and wines. ¡Buen provecho! – Bon Appetit!